3, 5, 8, 10, 15 & 20 Watts/ft. APPLICATIONS SRM/E self-regulating heating cable provides safe, reliable heat tracing for process temperature maintenance and freeze protection of pipes, valves, tanks and similar applications. The 190°C (375°F) maximum exposure temperature rating allows steam cleaning of process equipment with up to 170 psig steam. OMEGALUX ® SRM/E trace heating cables can be used in hazardous as well as certain corrosive areas. 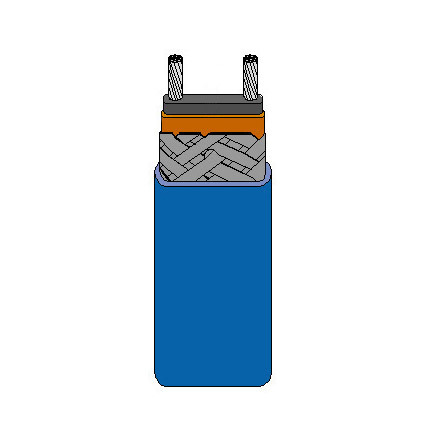 *Minimum length of heating cable is 25 ft. SRM/E cable is also available in 15 Watts per foot. Contact Sales for price and delivery.